Every year for the last six years, Film Streams (filmstreams.org) asks its members to select a film that will screen in the repertory theater for a week during their annual “Members Select” vote. 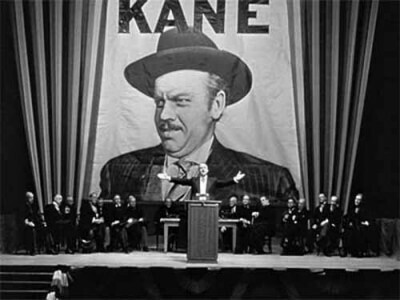 And yet, somehow my write in vote for Birdemic or Rubber is conveniently ignored in favor of such minor films as this year’s choice, Citizen Kane. I mean, “Sight & Sound” magazine doesn’t even consider the Orson Welles’ movie to be the best movie of all time anymore, whereas literally dozens of people consider Rubber to be the best movie featuring a telekinetic car tire. Two quick Star Wars notes; the first is funny, the second is depressing. First, Sam Jackson wants back in the next Star Wars movie, going so far as to suggest that even though his character should be dead, he can maybe “have one arm” or something. I agree. But only if it’s Jar-Jar’s arm. Second, more than 25,000 Americans have signed an official position asking the White House to build a Death Star. This is depressing, not because that’s more people than have signed petitions with actual merit but because despite being completely ineffective and getting destroyed quite easily by undermanned rebels (twice) people still think it will work. Darth friggin Vader couldn’t save the Death Star, but you want John Boehner to build one?